Managed to get these done, while fighting a head cold. I quit on the third piece after making a mistake out of frustration and inpatients. 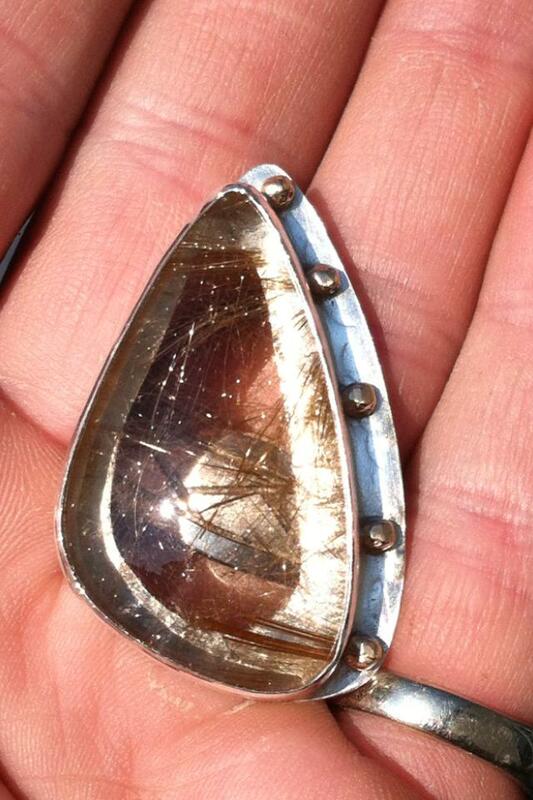 rutilated quartz, in fine silver with 14K accents. Man were they hard to get back to gold looking after melting to balls. 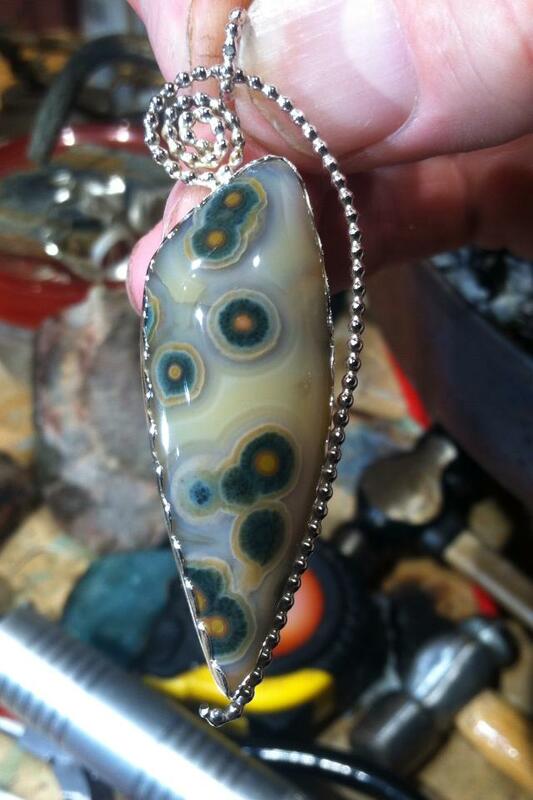 Ocean Jasper ~ loved this stone pretty happy with the setting. Super nice. I especially love the OJ. I love the designs but also like to give honest input. I think the rutilated could be taken up a notch if you didn't have the backing go so far into the center when piercing behind a clear stone. It would look better solid or with the opening mirroring the shape of the bezel and with only a small ledge around the outer edge of the stone. I have done pieces like this and love doing them so that the pendant can bring out the color in whatever the person is wearing behind it. With such a wide band of silver showing thru the stone on the right it looks distracting and draws my eye to that more that the great setting you made. Love the piece but I think if you do another one think more about keeping the silver to a minimum behind the stone. I hope you take that as creative input and not a put down as I do love the piece but I see more potential. Thanks always looking for info and opinions. I went round and round in my head when doing this piece. The problem was I liked the look with some textured silver behind it and also opened. I tried to combine both and perhaps should have gone a single direction. Thank you, slowly learning and seeing new ideas. I am a bit different I think in that I cut all my stones and then just wait for a vision of what to do with them. I don;t have a sketch or anything. I just grab and go once i see it.